NEW PRODUCT – Large Enclosed Piezo Element w/ Wires « Adafruit Industries – Makers, hackers, artists, designers and engineers! 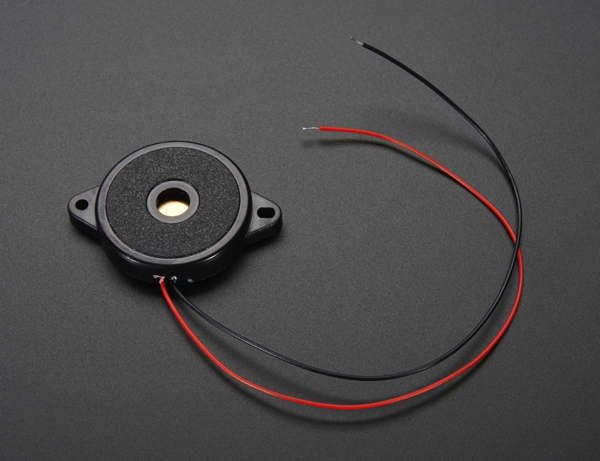 NEW PRODUCT – Large Enclosed Piezo Element w/ Wires: This large (30mm diameter) piezo element is nicely enclosed with mounting holes so you can attach easily. Piezo elements convert vibration to voltage or voltage to vibration. 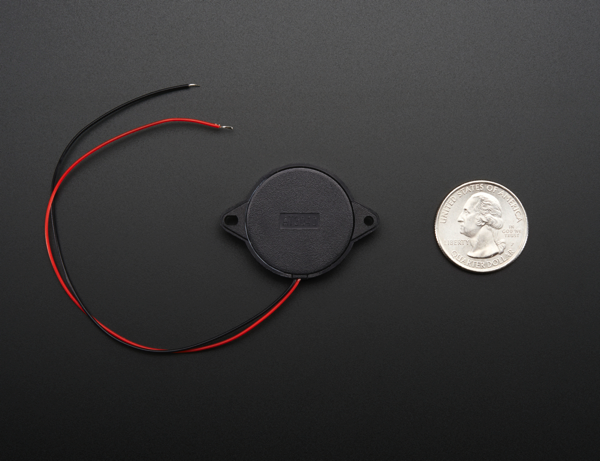 That means you can use this as a buzzer for making beeps, tones and alerts AND you can use it as a sensor, to detect fast movements like knocks. You can also use it under a drum pad to make a drum/crash sensor. It’s rated for up to 12Vpp use but you can also use 3 or 5V square waves and its plenty loud. For music use with an Arduino, check out the Tone tutorial. For sensing, the Knock tutorial is your guide! There are thin wires attached, we plugged them into a solderless breadboard, but they might too thin to plug in directly into the Arduino socket headers.